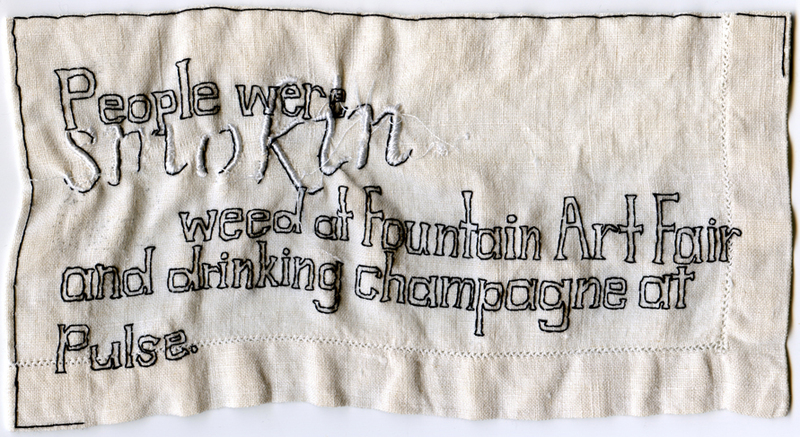 “People were smoking weed at Fountain Art Fair, and drinking champagne at Pulse.” 2012. Embroidery on fabric. 4.5″ x 8.5″.